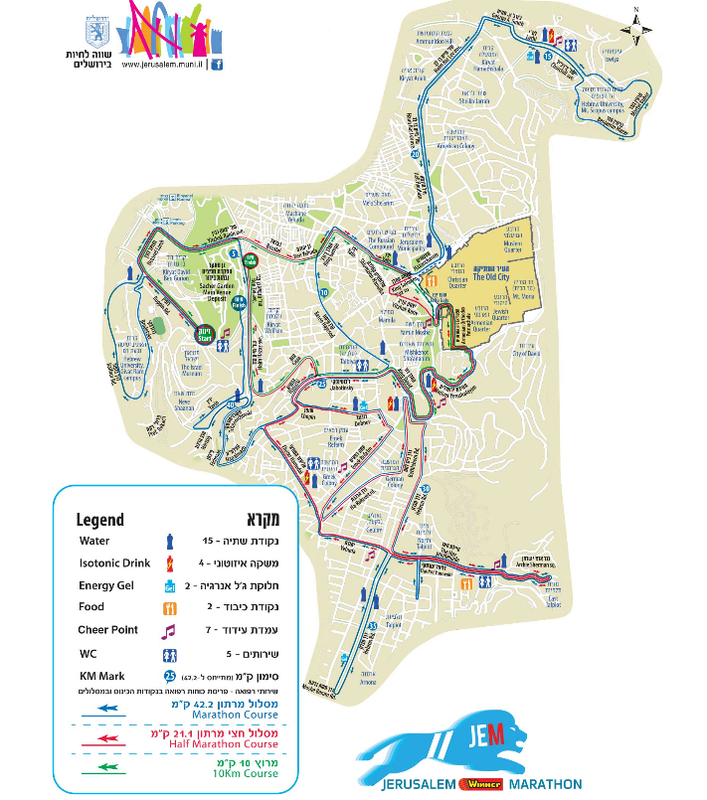 Tomorrow I will run the Jerusalem half marathon. 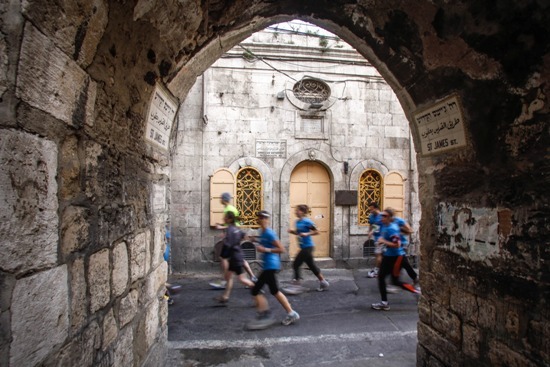 Usually such long-distance runs kick off at 10 a.m. Not in Jerusalem: the runners will set off at 6:45 in the morning. The biorhythm wonders whether it’s already light that early. But it doesn’t matter. Running across cobbled stones from the time of Pontius Pilate in a city with one hill on top of each other is not the place to set a personal record anyway. Jerusalem is a city to enjoy, to learn, to marvel. A half marathon (13 miles = 21 km) takes me about two hours. In these two hours in Jerusalem I will run through 3,000 years of history; more than one would see in other cities in a whole week. The finish line is in Sacher Park, which lets me hope for a cake for each runner. The documentation for the race includes the notice “attention: no weapons are allowed in Sacher Garden area”. But that doesn’t stop today’s terrorists. The latest trend in Jerusalem is for Palestinian “martyrs” to run over their victims by car. This is how erstwhile proud dynasties of terrorists go to the dogs. Grandpa hijacked planes to Entebbe, the father made it all the way to a beach bar in Tel Aviv before blowing himself up, and today’s teenagers ignore traffic lights. Good luck to all the runners tomorrow! This entry was posted in Israel, Sports, Terrorism, Travel and tagged Jerusalem. Bookmark the permalink. Thank you! Despite the steep hills, I finished in less than 2 hours. It was a great experience to run in such a historic city.